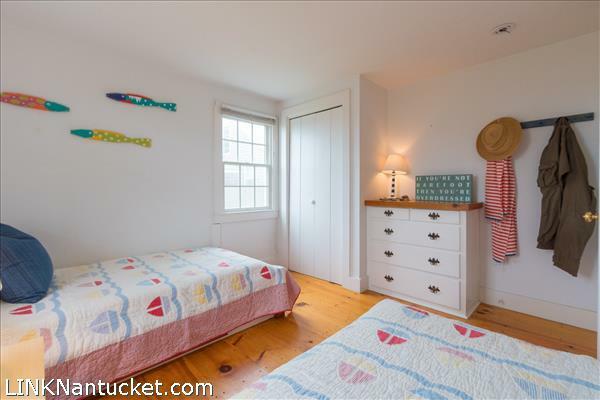 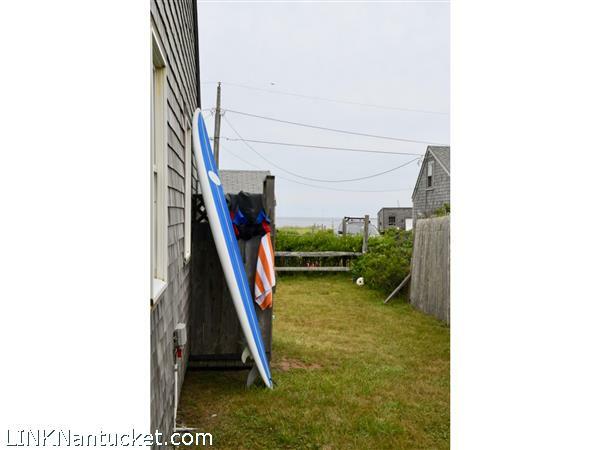 Surf Shack-pared down and simple – perfect for barefoot summers by the beach! 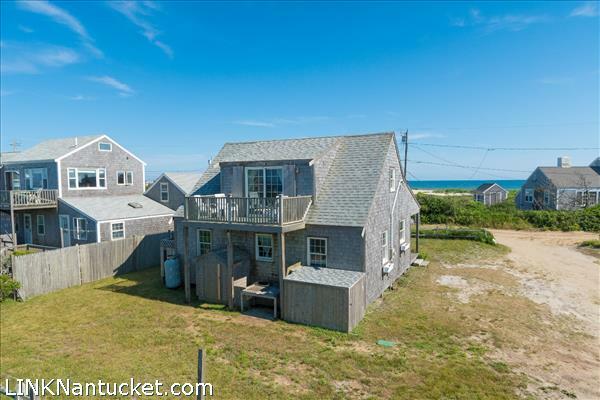 Hear the ocean and capture magnificent sunsets from this 2 bedroom cottage that boasts sweeping water views from the second story loft. 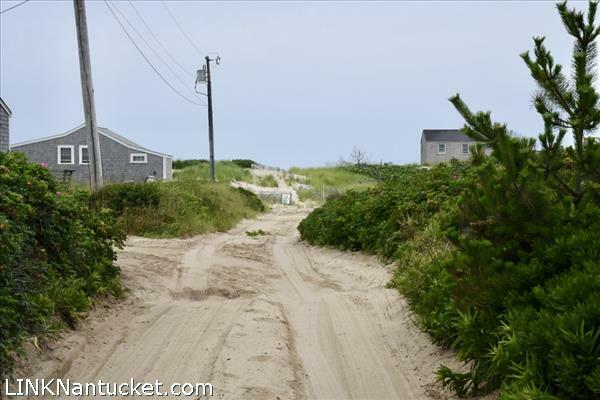 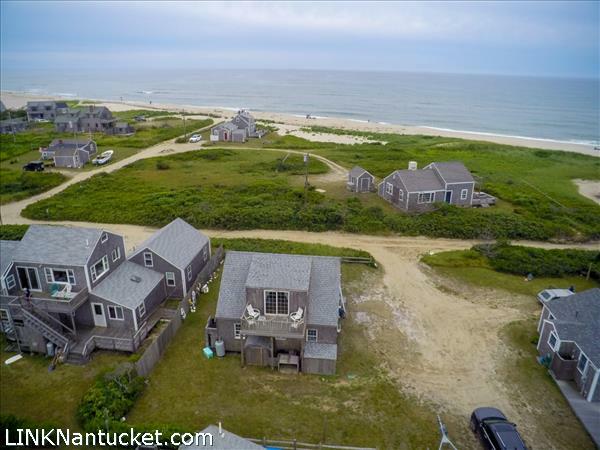 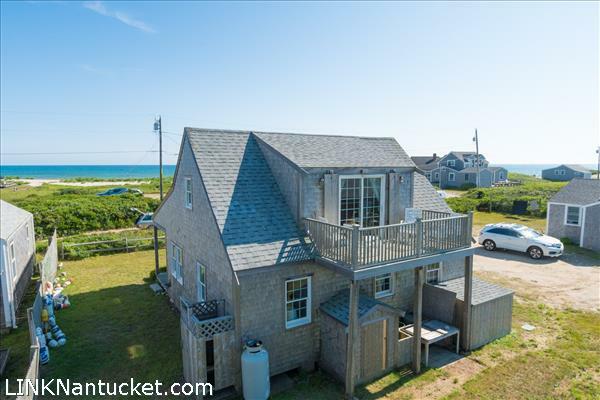 A true vacation escape from sunrise to sunset with the unspoiled beach amenities moments from your porch; check out the excellent surf break, ocean surf casting, stand up paddle boarding & meandering along beach that stretches for miles. 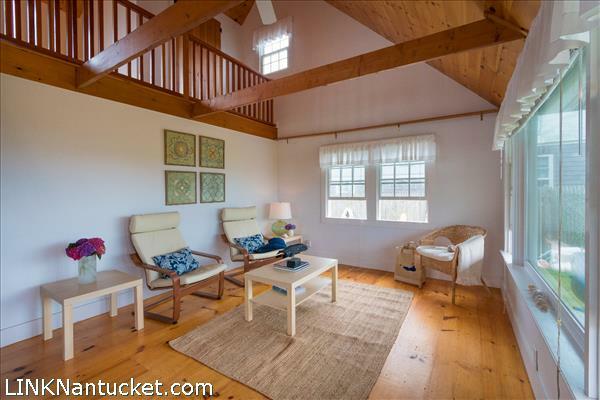 First Floor: Casual open floor plan with kitchen, living & dining area open to 2nd story loft area. 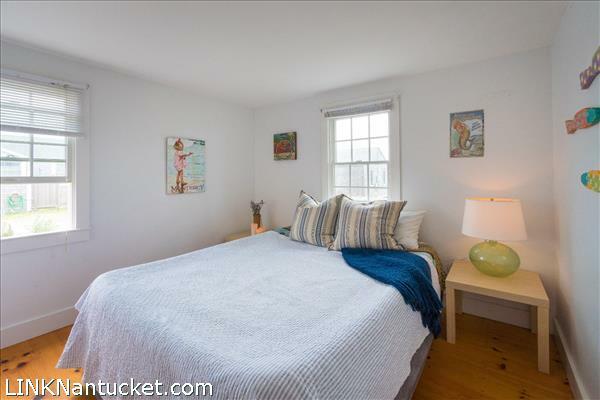 Two bedrooms & Hall Bath with shower. 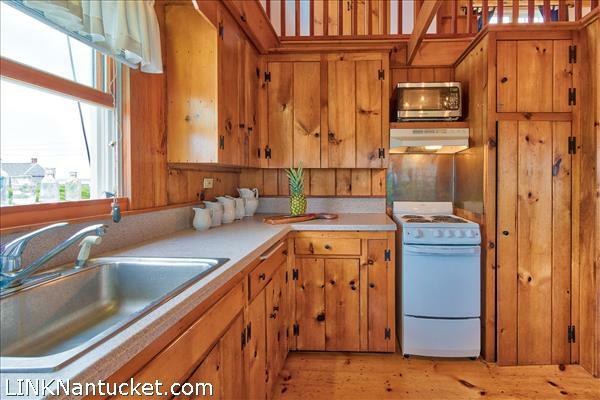 Stack Washer & Dryer. 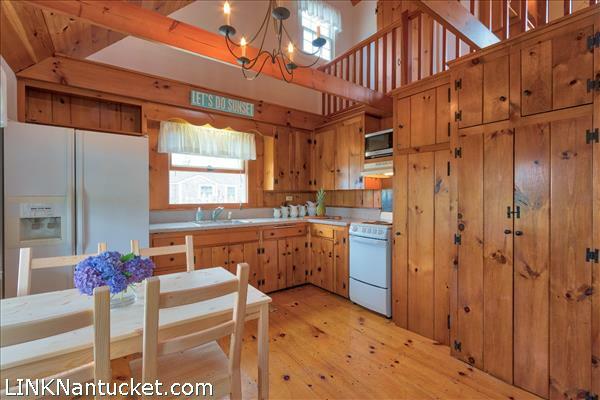 Vermont Castings Gas “Woodstove” creates heat and ambiance to extend cottage use into the shoulder seasons. 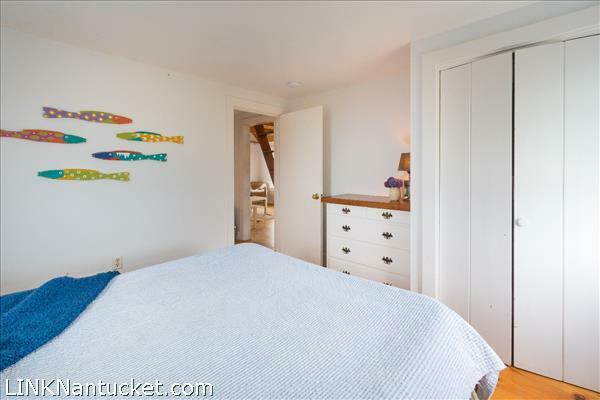 Vauted ceiling has rafters which double for storing surfcasting rods, surboards and paddle boards during the off season. 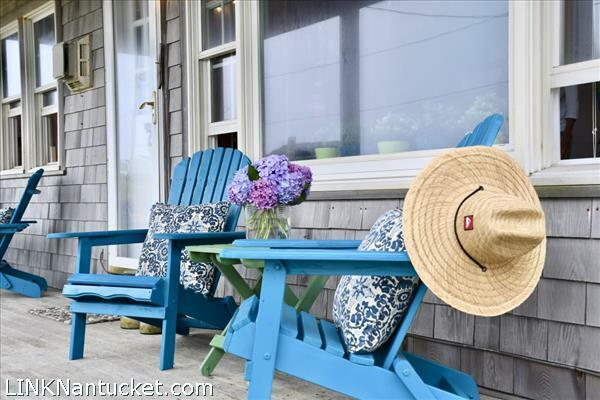 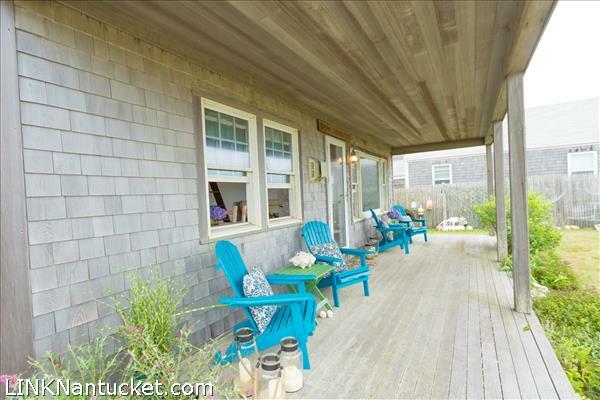 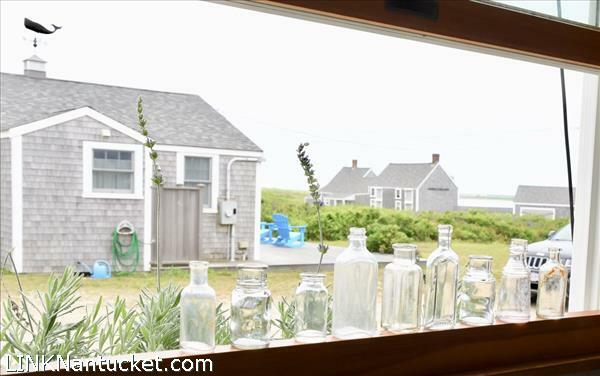 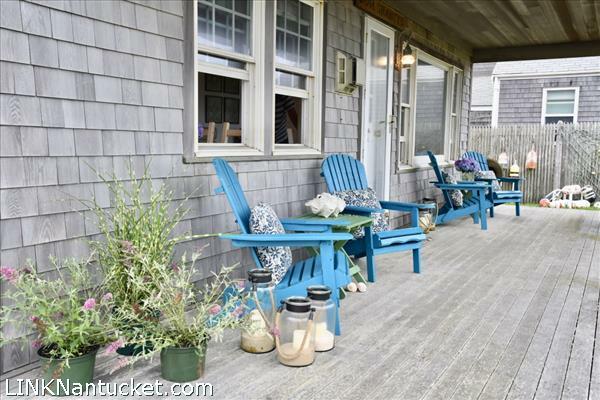 Wide front porch serves as a summer living room facing the dunes & mounds of rosa rugosa. 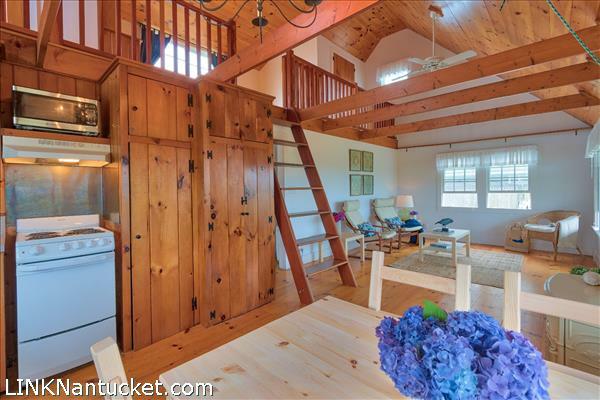 Second Floor: Custom Ships ladder to large sunny loft area with ample space for over flow guests, another seating area, yoga studio or office. 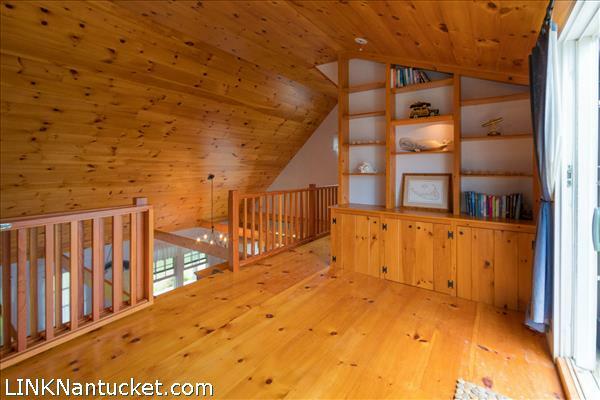 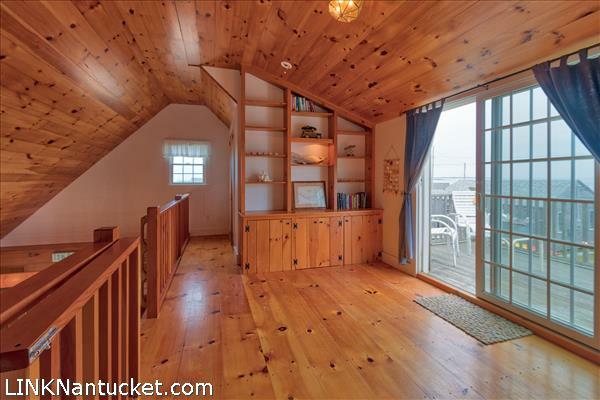 Includes built-in shelving and cabinets as well as two large & deep closets on each side of the loft. 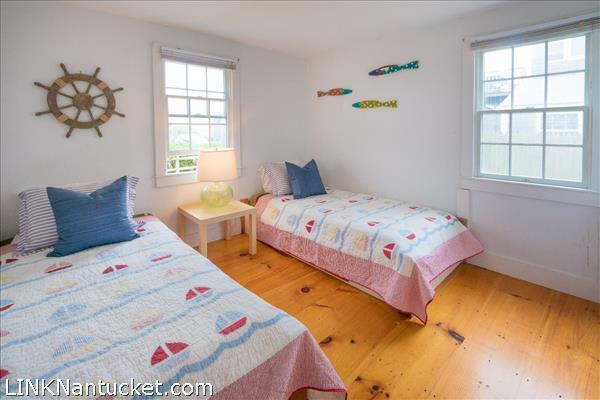 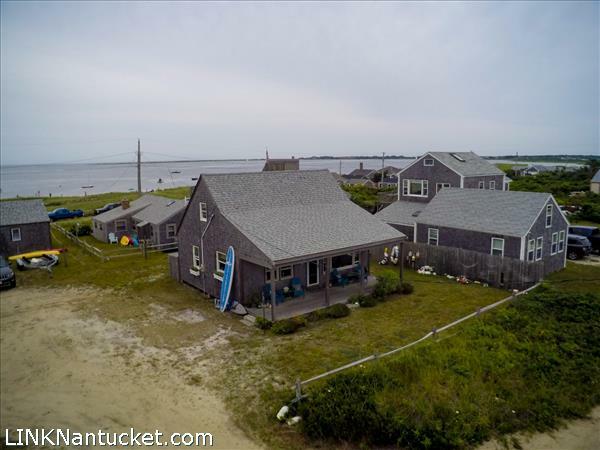 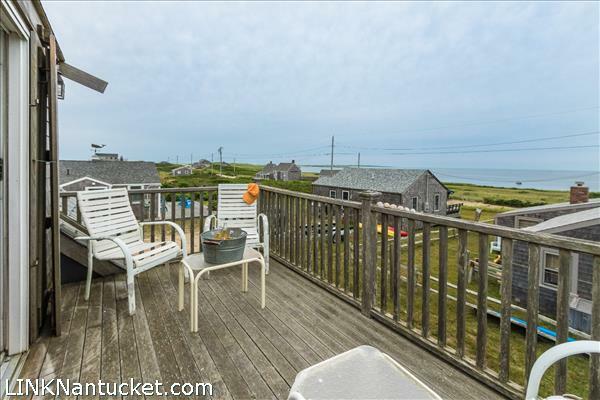 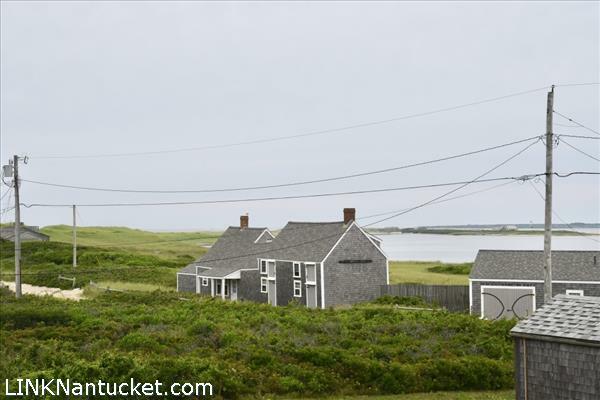 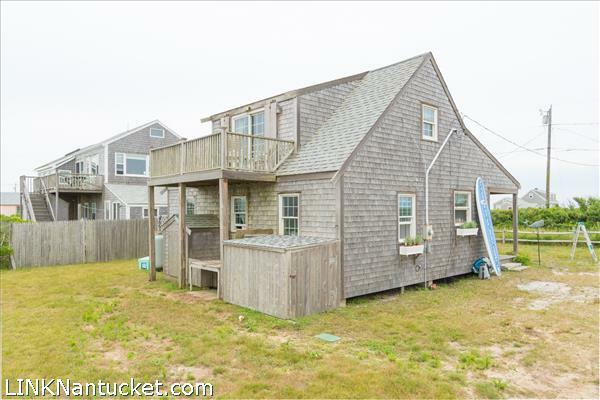 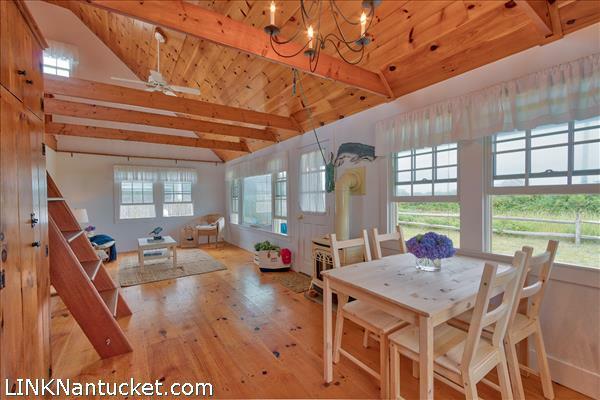 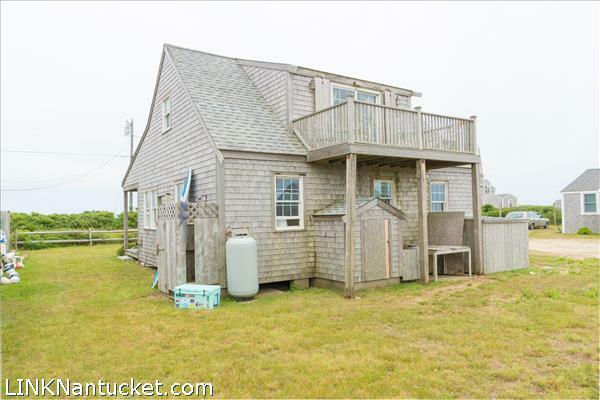 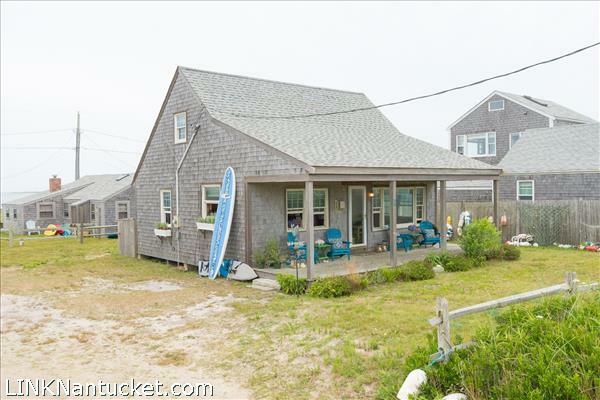 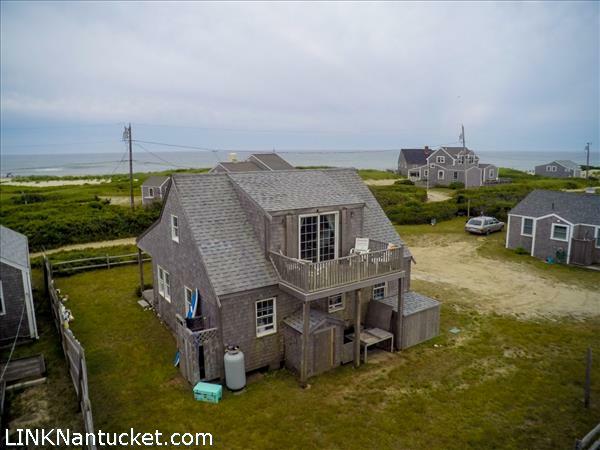 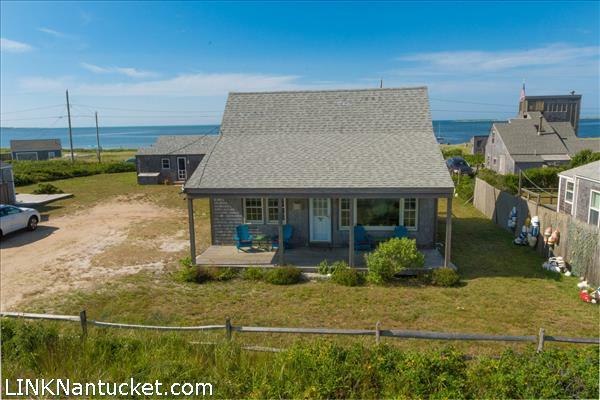 Sliders to second story deck with ocean & harbor views and stunning sunsets over Tuckernuck Island.